Overall, Flanders boasts an extremely productive workforce, stable labor costs, and various fiscal advantages and wage optimization possibilities for your company. For each foreign direct investment (FDI) project, however, the costs of labor are dependent upon the activity, sector and labor intensity level involved. Get the details below. Changes to taxation laws have resulted in several labor cost reduction initiatives in Flanders. In addition, despite the fact that social security contributions (SSC) in Flanders are high, there are many reductions to SSC rates, fringe benefits and upcoming tax shifts that all serve to greatly reduce employers' tax burdens and simplify the overall tax code. Even further, estimations of labor cost do not take into account the extremely high productivity level of Flanders' workforce – the 4th highest in the world – flexible labor system and excellent educational infrastructure. Get more details about labor cost trends in Flanders. Several employment subsidies serve to even further reduce employers' salary costs in Flanders, including target group reductions applicable to startups and certain categories of employees. The current governmental regime plans to reduce SSC contributions from 33% to 25% by 2018. Find specific information about social security reductions in Flanders. Companies employing scientific researchers, night workers, shift workers and employees working in a continuous regime can benefit from a number of financial advantages. There are also excellent fiscal reasons for employing expatriates temporarily living in Belgium that result in significantly lower costs. 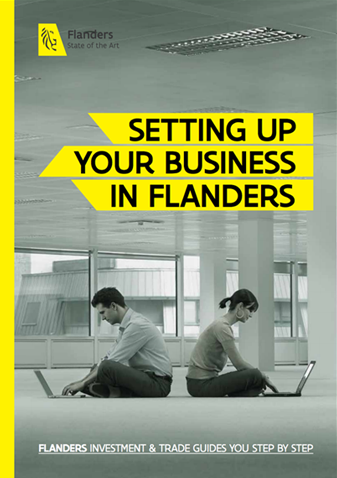 Learn more about how different types of employees result in fiscal advantages for employers in Flanders. Flanders gives employers many different ways to optimize wages. These include optional, taxable and non-taxable fringe benefits that entice employees and reduce employer costs, such as tools, bonuses, vouchers, and many more. Discover more about the fringe benefits that can be extended to employees to optimize wages. Many global studies have confirmed that workers in Belgium and Flanders as a region are more productive than those of any neighboring country except Luxembourg. High-level staff in Flanders are comparably low-cost while being extremely effective per hour worked. Get additional details about labor productivity in Flanders. White and blue collar workers are subject to different rules when it comes to the calculation of labor costs. Among other things, social security contributions are different, and so is payment frequency. Learn more about how labor costs are calculated in Flanders. Companies beginning operations in Flanders can take advantage of the region's flexible labor structure, which includes factors such as economic unemployment, flexible scheduling and a very smooth right of dismissal procedure. Get more information about elements of Flanders' flexible labor structure.